For the past seven years, KCI has published Think, a learning and literacy publication filled with interactive lessons for students in grades K-8. More than 5 million children and their parents have enjoyed our original, fun and interactive lessons on a variety of topics, including Math, Science, Language Arts, Health and Wellness, Exercise, Healthy Eating, Financial Literacy, Study Skills, and Sports and Exercise. One of our most popular topics is Safety. We have created a special edition of Think SmartBooks that focuses on safety lessons on topics such as: Bicycle Safety; Anti-Bullying; Internet Safety; Stranger Danger; Fire Safety; Traffic Safety and other important subjects. 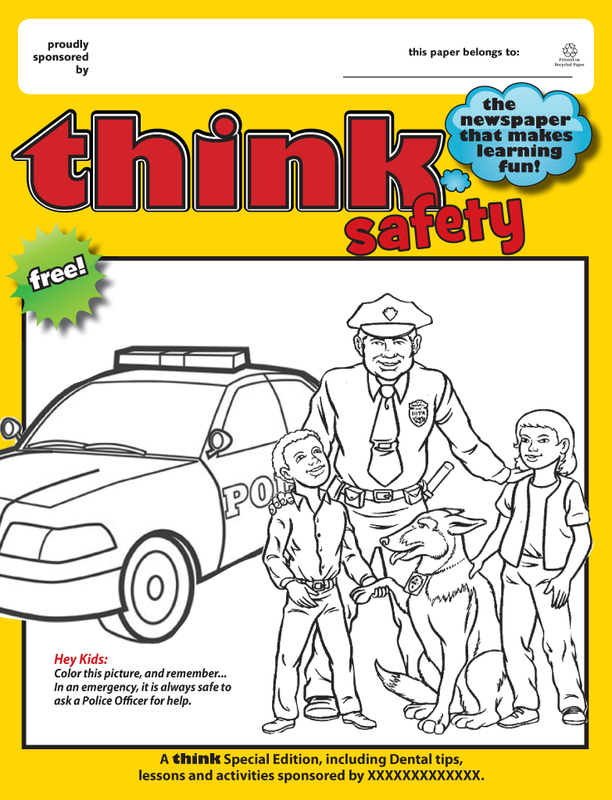 Think Safety is an inexpensive 16-page, full color book that can be used for School Resource programs, Community Outreach programs and giveaways at street fairs and festivals, among other opportunities. As an added benefit, Think Safety can be customized with a logo on the front cover of your Police Department or Union Local, and a back cover message or advertisement from a local sponsor to absorb the cost. SmartBooks cost only pennies, and the order minimums are low.